Safety is a serious issue with any electrical products, and especially with converter products that must handle and convert large amounts of electrical energy. While there may be cheaper rotary converters on the market these days, please remember that lower prices do come with greater risk. Phase Changer series converters have THE ONLY purpose built multistage microprocessor based controller as the heart, that not only provides better 3 phase output than any others, but also has inbuilt protection systems that will self diagnose and shut down the converter in the unlikely event of something going wrong. ALL Phase Change Converter rotary converters have both input and output contactors (like large power relays) that switch on the main power to the converter and also to the connected load. Both are controlled by the microprocessor based controller, and only switch on when all conditions are correctly met. ALL Phase Change Converter rotary converters have correctly sized D curve circuit breakers on the input and output, with units factory fitted with 3 phase outlets being fitted with a 3 phase RCD (safety switch). 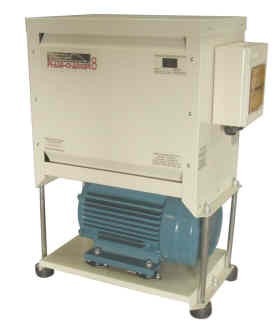 ALL Phase Change Converter rotary converters are fitted with internal thermal overloads that add one more level of protection in the event of overload for extended periods. If tripped, the overload will automatically reset when it cools. ALL Phase Change Converter products are fitted with low current control circuit fuses. Phase Change Converters do not produce any electical noise or interference, and can be connected with standard electrical cable rather than expensive shielded cable. We do not take short-cuts on quality or safety. If you get information from other suppliers, partricularly those who claim theirs will do what ours does, and ask exactly what they have internally to guarantee safety and quality. Ask them how they comply with Australian Standards, particularly in relation to safety and protection. Some manufacturers are using imported controllers to switch capacitor banks via several thyristors, but have no logic outputs to control start and run contactors and no inherent built in safety. As a point of interest, the following photo is a 37KW converter we replaced with a 30KW Phase Changer . This converter used one of the imported controllers, which was shown to be the hotspot of the meltdown and became totally melted and unrecognisable. 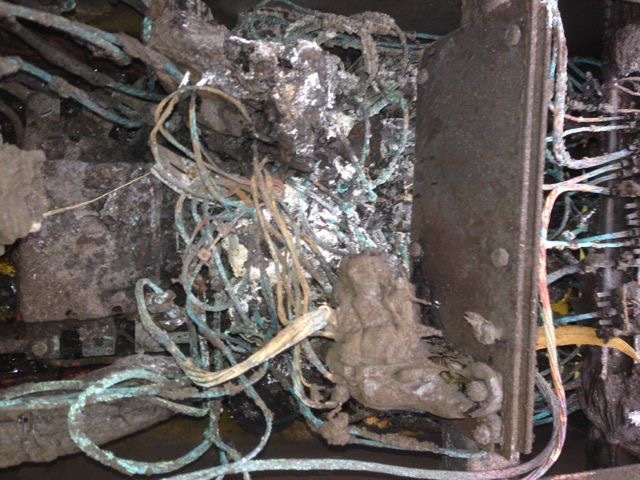 Luckily, in this case, there were people near by when the converter went bang, and the fire got extinguished quickly, before more serious damage was done. It certainly could have been much worse. Three Phase Converters are definately not the same and should not be compared on price alone.